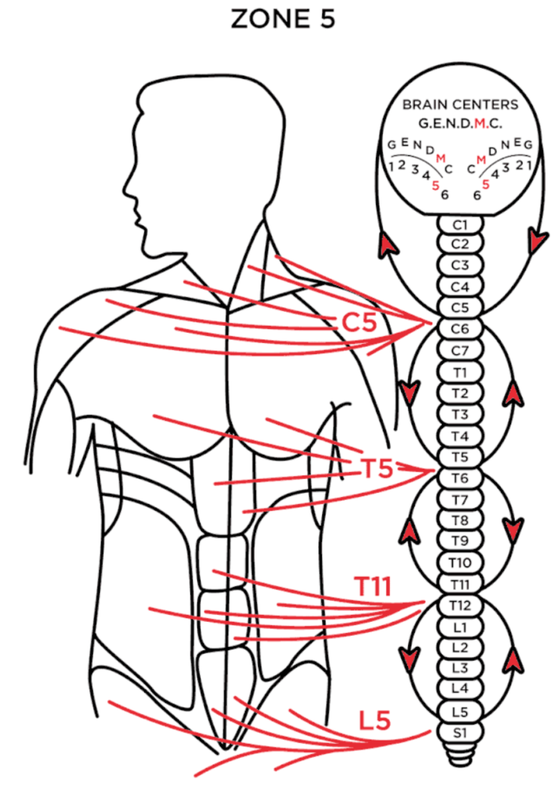 The Zone Technique is a chiropractic healing method originally created by Dr. Thurman Fleet in 1931 in San Antonio, Texas. Dr. Fleet originally called it Zone Therapy. After learning this method of healing in 1993 and refining it over the next two decades, Dr. Peter Goldman of San Francisco, California created his own version. He named it Zone Technique. Here is how the Zones work: According to Dr. Fleet, the human brain is composed of many centers. These centers form in the embryonic stage of life and develop from the dorso-medial ectoderm of the embryo. There is a center which controls the glands of the body, a center which is associated with the organs of elimination, a center which regulates the central nervous system, and which is differentiated as an ectodermal neural plate in the dorso-medial region of the ectoderm. 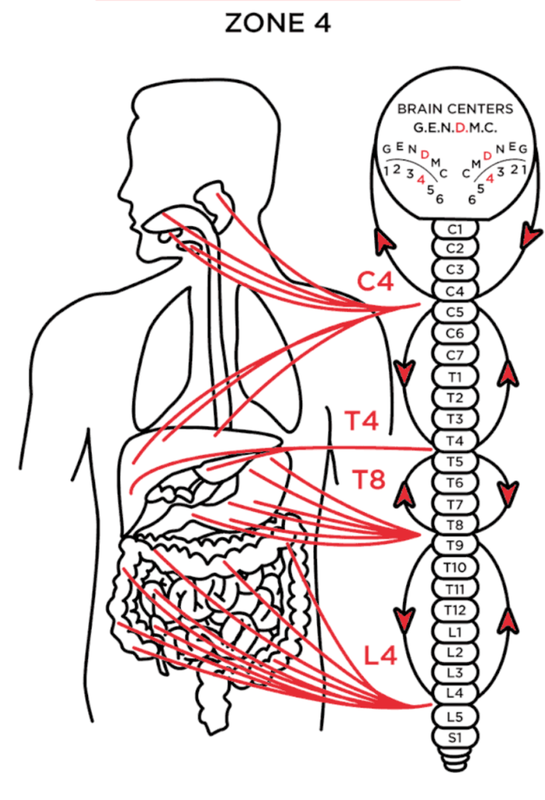 The digestive organs are regulated by a brain center. In the motor cortex of the brain we find a center which controls all of the muscles of the body, and in the caudate nuclei (both), we find the center which regulates the flow of fluids (circulation) through the body. There has been a disruption of normal function of the entire center due to the effect of emotional, physical, or chemical stress. The Zone doctor examines the patient to determine which of the brain centers are not in harmony with the systems they control. This is done by the Zone doctor feeling specific points on the patient’s head. 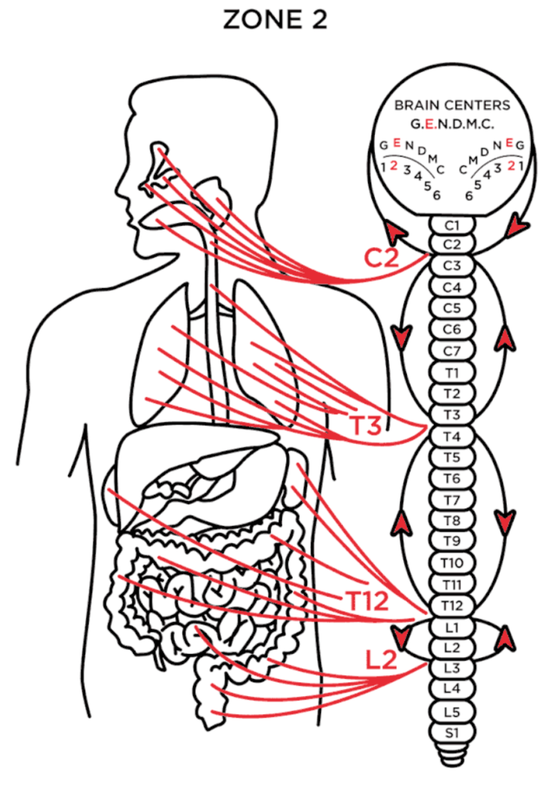 These points are related to the six brain centers by nerve connections. When a brain center is not sending the proper signals to its system, all bodily material associated with that system suffers. 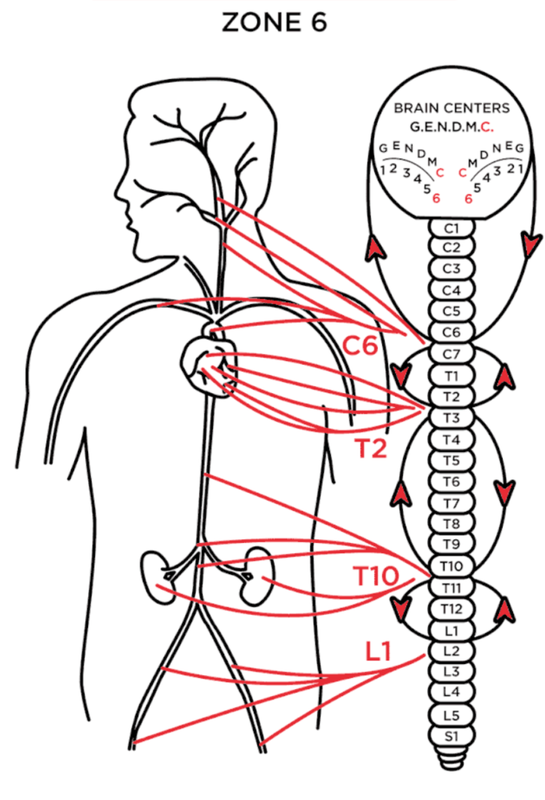 In order to correct this, the zone doctor stimulates specific points in the spinal cord. 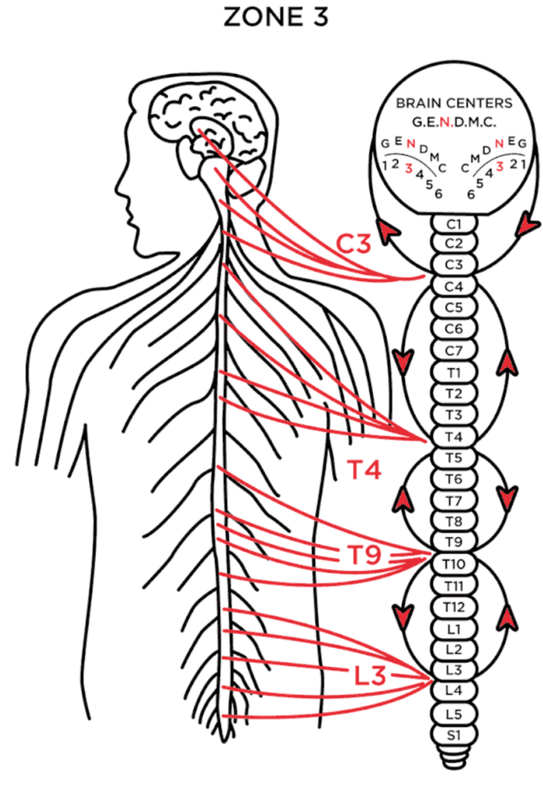 There are six sets of four points in the spinal cord (negative pole) that are related to the six brain centers (positive pole). Stimulation of the proper points by the Zone doctor sends healing energy up the spinal cord to the brain centers that need balancing. The balanced brain centers then are able to send out the proper signals to the body’s systems and the body is better able to heal itself. The RESULTS The Zone Technique gets, speak for themselves. 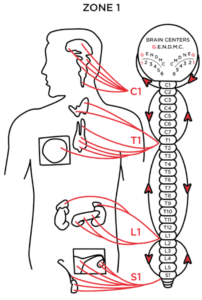 While the Zone Technique gets incredible results with musculoskeletal cases, many patients come for systemic health imbalances, most after they have tried and failed with medical doctors, other chiropractors, acupuncture, homeopathy, etc.